First Aid Only Bloodborne Pathogen Kit with Microshield CPR Shield is a 25 piece kit that is intended for businesses, work sites and offices that require this level of personal protection. 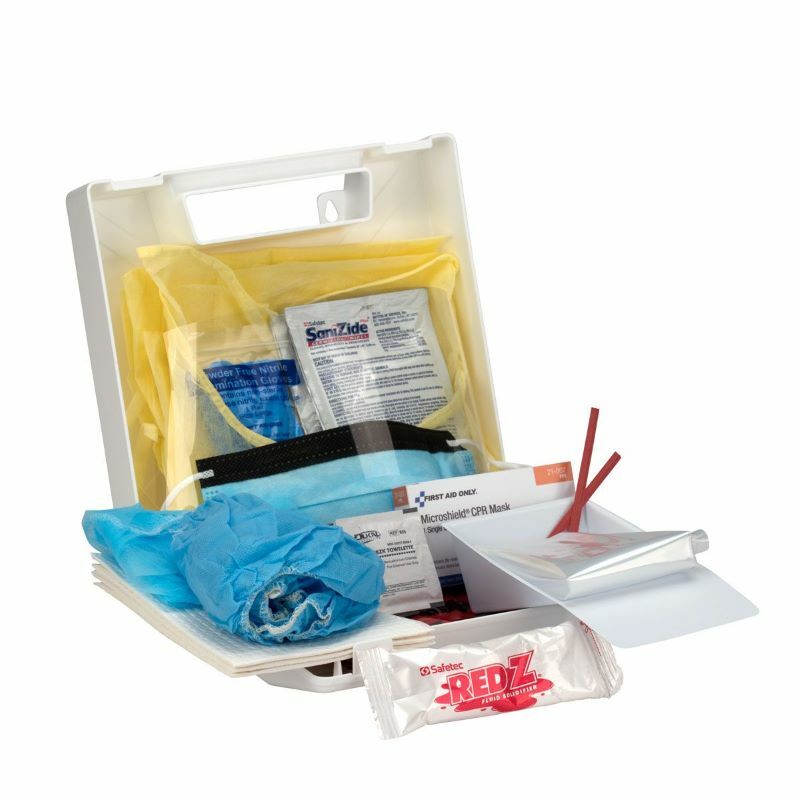 This bloodborne kit is a biohazard clean-up kit for caregivers to give personal protection to themselves while giving care to an ill or injured patient. This bloodborne kit with CPR shield meets Federal OSHA Regulation 26 CFR 1910.1030 and can be mounted on the wall or moved around because of its portability. This bloodborne kit contains a body fluid pick-up guide and a CPR pack and everything needed for a body fluid clean up. Kit Dimensions: 9"x8-3/8"x2-1/2"